NYC, 04/08/2019, 1:00PM. 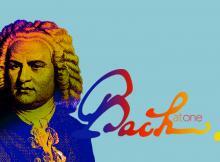 Bach Plus One Concert. The Choir of Trinity Wall Street and Trinity Baroque Orchestra; Julian Wachner, conductor.